An ETA (Electronic Travel Authority) is an authorization to enter Australian territory, and is electronically linked to your passport. It is for short term stays for tourism or business visitor activities. An ETA is 100% electronic, which allows you to visit Australia without the need to apply through a departmental office for a traditional paper visa. Business visitor activities do not include work. 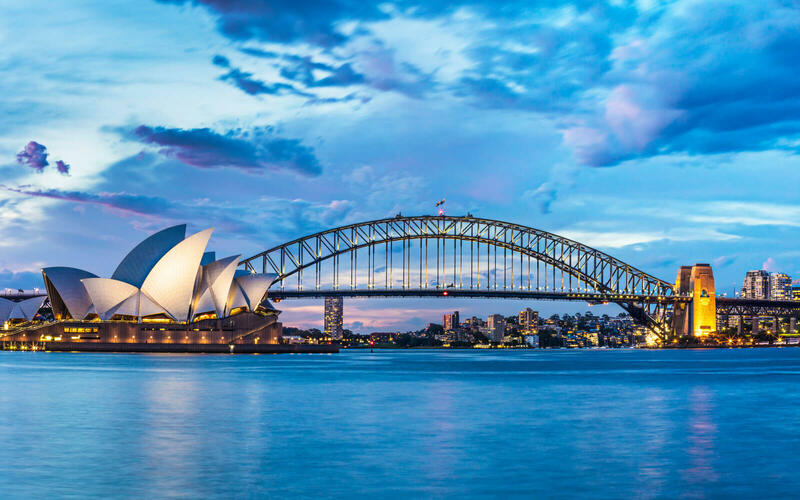 If you want to do short-term, highly specialised, non-ongoing work in Australia, you can apply for a Temporary Work (Short Stay Activity) visa (Subclass 400) in the government site. How long is the validity of an ETA Visa? The ETA Visa is valid for 12 months, but if the validity of applicant’s passport is less than 12 months the expiry date of the passport will be considered. What is my ETA Visa Government Reference Number? The ETA Visa which has been processed by us as travel agent does not have Government Reference Number. That number will be provided to you only if you apply through Australian Government Channels. Do I still require to verify my ETA Visa Approval before departure to Australia? As an authorized travel agent, we register your information with Australian immigration border you are not required to do any further verification. Even you are not required to show any proof of visa approval to Immigration upon your arrival to Australia, once they scan your passport, they will be able to view your registered data in their system. Is there any difference between ETA Visa which is immediately approved and the one which is approved after pending period? Please be informed that not all the ETA visa application will be approved immediately, in some cases the application requires 12 hours’ review time by Australian Immigration Border and therefore the appearance of an ETA Visa Approval report for such a pending application is slightly different to the one which is immediately approved but eventually the result is same and the applicant can have 100% assurance for the credibility of the ETA Visa Approval. Could I apply new ETA Visa to Extend my stay in Australia? No, the you can not apply for an ETA Visa while you are still in Australia and consequently, the permitted stay of 90 days can not be extended. Therefore, you are required to exit on or before the permitted 90 days stay in Australia. You should always try to apply in advance, no later than 24 hours in advance of your departure. On occasion, some people are not approved to enter Australia and they must contact an Australian embassy. For those who wait to apply for a visa until the last minute or at the airport, those not approved could run in to trouble and be denied boarding by the airline. To avoid the hassle of missing your flight, it's recommend you purchase your visa in advance through IAE ETA, so that you can rest assured that your visa status will be approved. If by chance it is not, we will give your money back. Do I need a plane ticket before purchasing an ETA? No, you do not need to arrange your transportation into the country before applying for an ETA. Whether you are traveling by boat or plane, it's okay to apply for your ETA anytime before or after your confirmed ticket. How does the airline know that I have a visa? Airlines, travel agents, cruise companies, and immigration officials all have similar systems which allow them to run an inquiry on your visa status. Once you are approved by IAE ETA, all of your name and passport information will then be active and valid in the Electronic Travel Authority immigration system. The airline or cruise company will then swipe your passport at check-in, electronically verifying your visa status in the ETA system.